Click on map to download a pdf file of this map. 2,500 yr ago — Pine Creek eruptive episode at Mount St. Helens fills Lewis River valley and builds out Woodland bottoms. 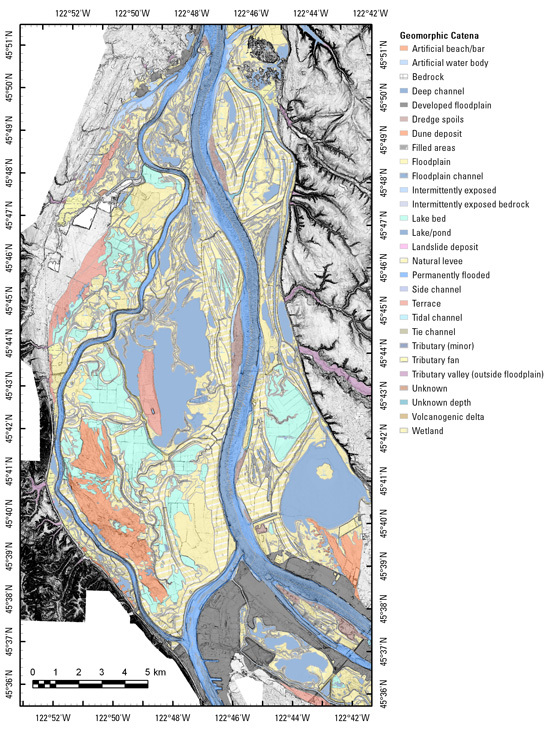 2,500-60 yr ago — Channel migration and overbank deposition, mainly during Columbia River freshets, builds modern Sauvie Island. May 18, 1980 — Mount St. Helens erupts, dramatically changes island views.